For as long as the martial arts have been in Asia, the bo has been part of them. A fundamentally simple weapon, its first users were common folk and monks. It got a popularity boost in Okinawa, Japan, during the Sho Dynasty of the mid-15th century. During this time, the emperor banned all weaponry in an effort to prevent potential uprising while spreading his personal philosophy throughout the land. When Okinawa was overtaken by the Shimazu Clan in 1609, they reinstated and reinforced this weapons ban, making the commoners defenseless against the samurai and forcing them to look for alternative ways of defending themselves. They turned to their trusty farming tools, since these couldn’t reasonably be banned or taken away. One such tool was a long stick used to carry buckets of water or crops from place to place. The bo staff may have evolved from this tool into the staff weapon that’s familiar today. A typical bo is around six feet in length (a general rule of thumb for choosing a bo is to get one a few inches shorter than you). They are commonly made of hardwood. They can be plain or decorated with carvings, a grip, or metallic stripes or sides. Some staffs are thicker in the middle and taper to the ends, allowing the user to maintain a tighter grip for better maneuverability. 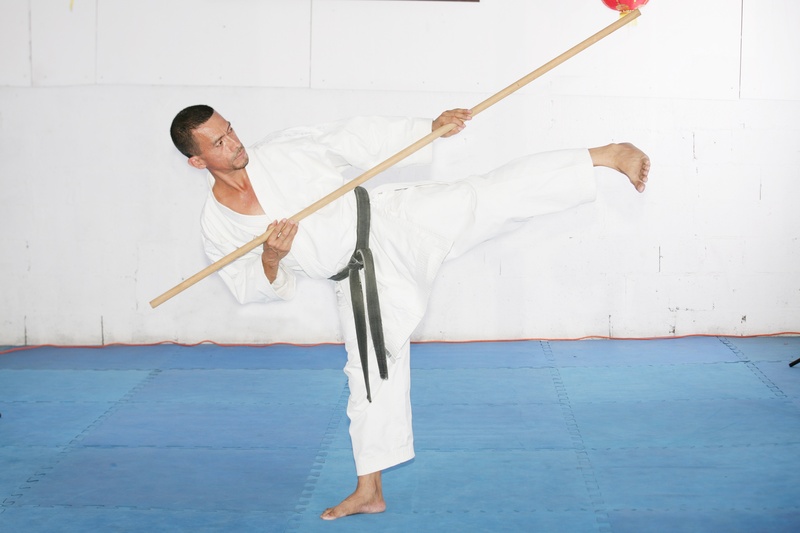 A bo staff can also be made of a more flexible wood such as bamboo or rattan. Bo are typically lightweight, especially those used for modern martial arts competition and training, but they can be made heavier with the addition of iron studs or inlaid metal plates, if so desired. 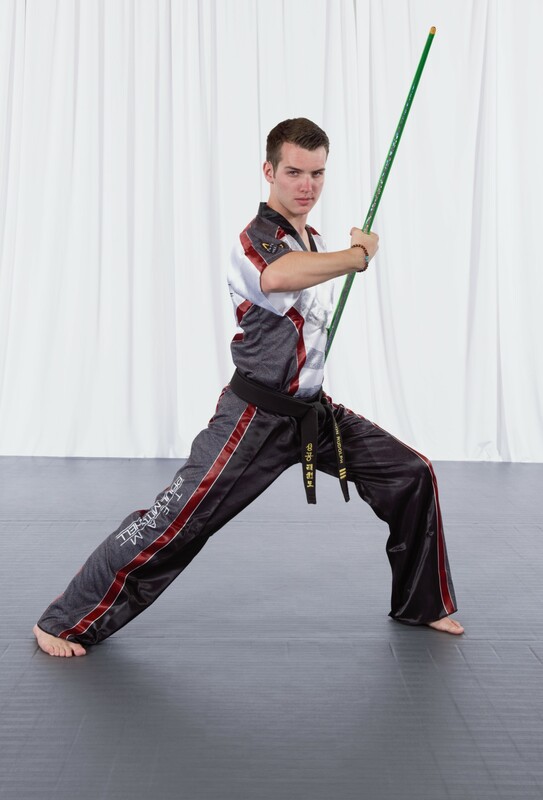 Other types of martial arts staff weapon similar to the bo staff include the jo, which is about four feet long, and the hanbo, or half-bo, which is about three feet - half the length of a standard bo. A regular bo staff can also come in varying lengths, with some staffs measuring up to 9 feet. 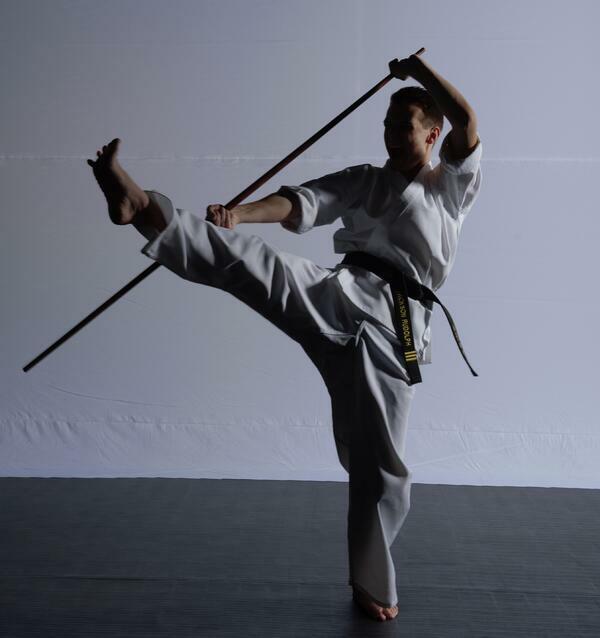 Fighting styles that use the bo staff have developed over many centuries into the modern martial arts we see today. The primary martial art which uses this weapon is the aptly named bojutsu. Students of this discipline train in swinging, striking, and thrusting techniques to attack and defend in combat. The staff can also be used to slash or sweep, similar to a sword. Students are taught to treat the weapon like an extension of their own limbs. The bo is also a staple in karate. Sport karate, a modern incarnation of the martial art, is known for bo “tricking” – ornate, acrobatic forms that rely on an athlete’s speed and dexterity to guide the weapon through complex maneuvers. At first glance, sport karate might not seem like a “martial” art, but in reality, the strikes, spins and other moves seen in tricking are adapted from fighting moves and stances. 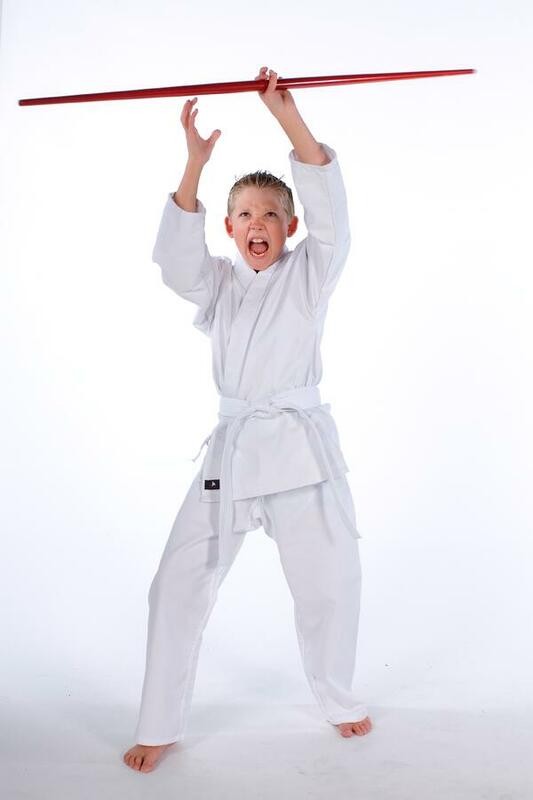 Sport karate is great exercise, and it’s popular with many young martial artists who love challenging themselves with more and more complex forms! The staff is best used by gripping it with both hands, dividing the staff into equal thirds. The hands should be facing opposite directions, to allow the user to rotate the staff to strike or block. This grip also provides the power behind the thrusts and sweeps, as the front hand guides the weapon while the back hand generates the appropriate force. Some techniques also allow the user to hold the staff at only one end, increasing its reach. Students will likely start with a lightweight bo staff that’s less likely to cause injury during training. Younger students may also use a shorter staff so that they can get used to the relative size. Then, as they get older, they can upgrade to longer weapons to continue their training. Once a student is confident and has complete control over their use of the weapon, they can upgrade to heavier weapons that will provide a better defense in real combat. Not all experiences with this tool will be the same, of course, which is why it’s useful that there are so many varieties and designs. Every bo user will choose the weapon with which he or she is most comfortable. The many styles of modern bo make it an ideal weapon for a variety of different types of people. Though it’s less flashy than swords or knives, the bo staff is a strong, dependable weapon with a fascinating history. Its millennia-long story continues through the martial artists of today. Learn how you can bring a popular bo staff program to your school at the Martial Arts SuperShow! Sport karate champion Jackson Rudolph will lead a pre-con seminar on his program The Flow, which gives instructors all the tools they need to start a new class! *Yes, ‘bo’ means ‘staff’ in Japanese, so ‘bo staff’ is technically redundant. However, it’s common English vernacular to add the word ‘staff,’ so we do, mostly for the benefit of those who may not already know what a bo is. **Okay, this one probably wasn't historically a bo, but it’s at least a staff. Same concept.